Tinnitus isn’t curable, but it’s effects can be managed through treatment. Recent studies suggest that a nutritious diet can be a good place to start. From sound-based therapies to mindfulness-based exercises, new ways to manage or reduce the sounds associated with tinnitus — a ringing, buzzing, or pulsing that has no external sound source — are being developed every day. Though there’s no cure, treatment options abound. One promising option: nutrition. 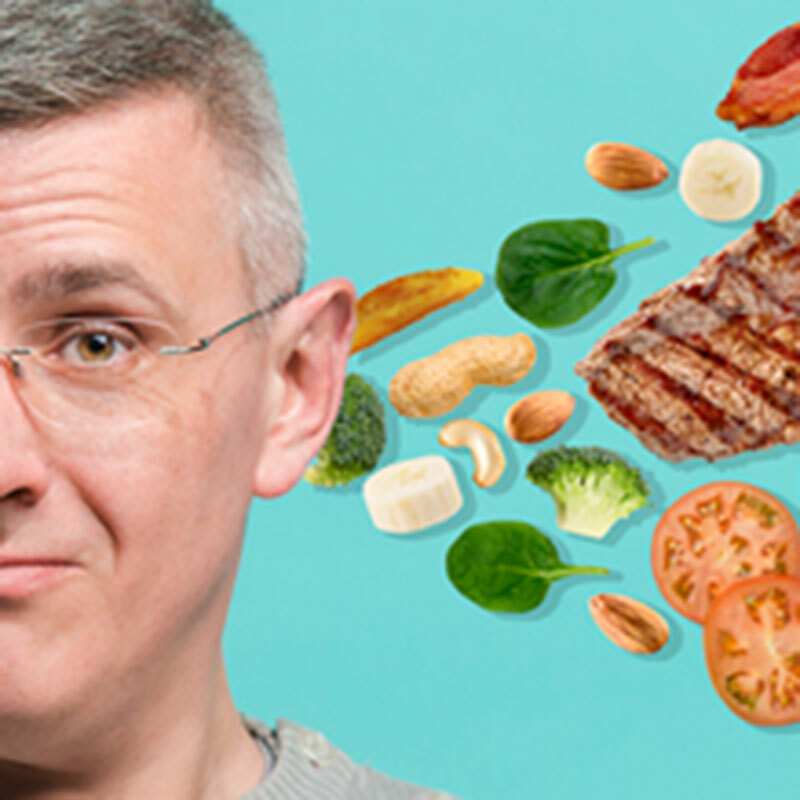 A growing body of research is linking not food but nutrition with tinnitus. For example, people with Ménière’s disease-related tinnitus should keep their salt intake from fluctuating to control tinnitus symptoms. Some encouraging studies have shown that folate, B12, and certain antioxidants are linked to improved tinnitus symptoms. In honor of National Nutrition Month, enjoy these recipes bursting with tinnitus-friendly nutrition! Whether you serve it over chow mein or skip the noodles for a low-carb option, this hearty and healthy recipe can’t miss. Packed with B12 (flank steak), folate (spinach), and antioxidants (spinach), this is a blast of sweet and savory flavor. If you saw “pesto” in the name and thought, “Basil? No thanks…,” don’t worry — the basil takes a back seat among the delicious, complex flavors in this recipe. The ingredients are rich in antioxidants (cherry tomatoes, walnuts, basil), hearing-healthy omega-3s (anchovies, basil), and folate (cherry tomatoes). You finally figured out how to get your windowsill herb garden to thrive. Now what? We’ve got just the thing! With this hearty salad, you can mix and match the herbs to suit your palate, while the main ingredients — tinnitus-friendly potatoes and spinach — provide a heapin’ helpin’ of antioxidants and folate. This easy, light, delicious side dish is sure to become a spring and summer staple in your home! The tart sweetness of the cherry tomatoes perfectly complements the earthy punch of the spinach, and both are overflowing with — you guessed it —antioxidants and folate. Looking for a great way to start the day off with a nutrition boost but really don’t like greens? Look no further than this recipe! Nestled among the berries, banana, and your choice of milk (the recipe uses almond milk), you won’t even know the spinach is there. And like the pesto dish above, this smoothie is packed with antioxidants, folate, and hearing-healthy omega-3s. Copyright © 2017 Advanced Hearing Care. All rights reserved. Site by visual media. HIPAA Statement.